Spy book fans are blessed with some excellent spy fiction book blogs on the web. In this post we share with you our favorite 8 spy book blogs that you should bookmark and follow. These bloggers are worth following for their insights and interpretations on, and of spy novels. There are a a lot more than 8 spy book blogs out there but these are the ones I visit weekly and some of them daily for my espionage fix. I have learned so much from all these bloggers and you have given an extra dimension to my spy reading. Thank you! So without further ado, here is our list of the 8 best spy book blogs you should follow and no they are not ranked in any order as Spybrary loves them all! Spy Guys and Gals is a colossus among the spy book fiction sites. Randall has collated information on 945 spy series covering 6,520 books! If the novel is not listed here, it has probably never been written or it will appear in Randall’s next Spy Guys and Gals update. Randall is very passionate about his love for spy literature and his spy blog is an incredible resource for all us, especially as he is constantly updating his site. Bookmark it now. Bill Koenig is the man behind this spy blog which bills itself as ‘A Blog about James Bond -007 and the other Spies.’ Much more than just a spy book blog, Koenig bring us news and views from the world of spy movies as well as news from spy book authors. I am signed up to Spy Command email updates and I can get several a day (don’t worry its all relevant stuff and no spam) This free service allows me to keep up with what is happening, especially around Bond 25 so Spy Command is an essential spy book/movie resource for me. I take my hat off to Bill because he produces so much fresh content almost daily. I wonder if he has a full time job because I am unsure how he is able to deliver so much and hold down a job! Thanks Bill! 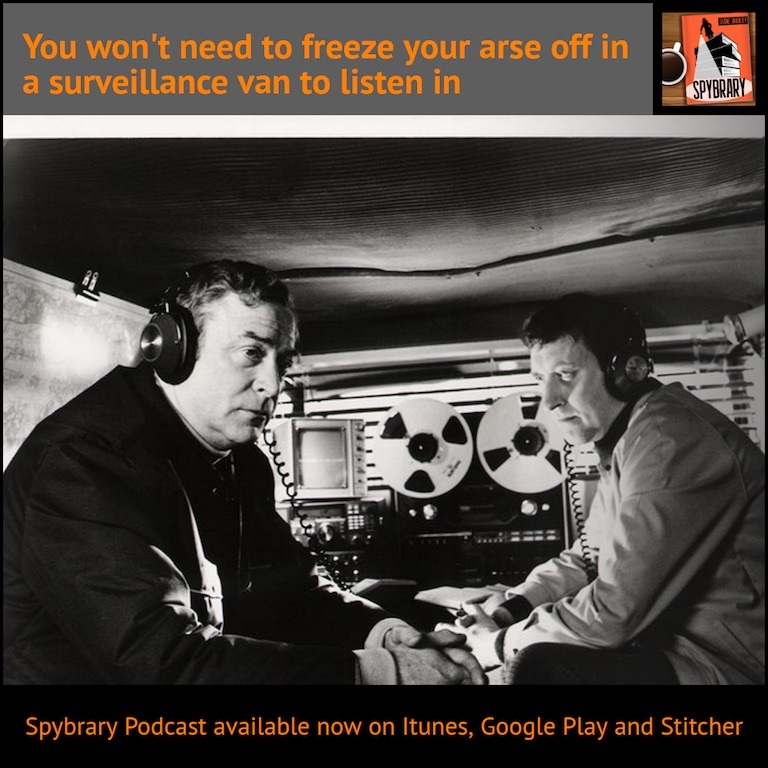 We hope you will join us on the Spybrary Podcast soon. Ryan Steck’s Real Book Spy site offers a vast range of reviews on spy books. Here is another spy blogger/reviewer who I marvel at and wonder how on earth he finds the time to review so many books and deliver such engaging spy content.Ryan offers insights on thrillers from writers such as Brad Thor, Mark Greaney and many many more. Most of the books he reviews are more from the American side of the pond which is why the Real Book Spy is a solid resource for Spybrary as we tend to lean more towards British writers. The Real Book Spy offers monthly reading challenges and lists his must read books per year. His site is a treasure trove of spy gold. I hope Ryan will come on to the Spybrary Podcast soon to help us navigate our way through the US thriller and spy book landscape.I have only read one Tom Clancy and one Brad Thor novel so definitely need his guidance. 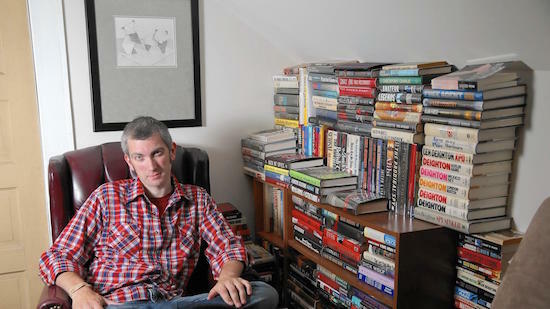 If I was a billionaire, I would build a Spy Book and Movie Museum.My choice for Head Curator would be the man behind the Double O Section Blog Matthew Bradford. 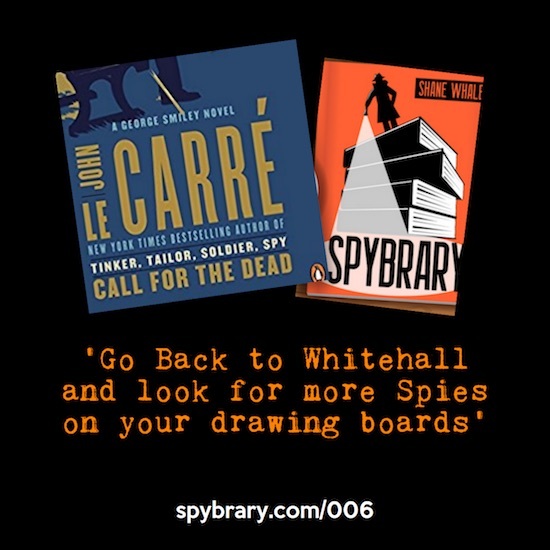 He is probably one of the most knowledgeable people I know when it comes to spy literature and movies.In fact his interview on Episode 6 of Spybrary where he shares his thoughts on Le Carre’s first novel ‘Call for the Dead’ is so insightful that some guests are now too scared to come on the show! His Double O Section blog is for news and reviews of all things espionage–-movies, books, comics, TV shows, DVDs, and everything else. Matthew offers plenty of no holds barred reviews on spy books and he is the owner of an immense spy library. In fact on our Spybrary Facebook Group he probably answers the most queries about spy books and movies than anyone else as he has read or watched most of them. Double O section is a goldmine – as well as Matthew’s reviews I especially enjoy his primer on John Le Carre’s George Smiley. 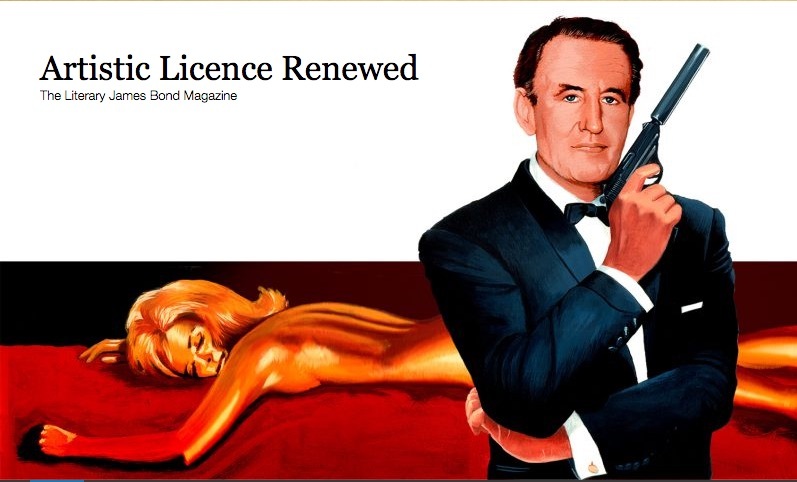 Literary 007 pays tribute to the works of Ian Fleming, honing in on the books as well as the life and times of Ian Fleming. Much emphasis on book cover and design. Wonderful to see Tom at Literary 007 branching out into other areas of spy fiction including a recent interview with Slow Horses author Mick Herron. Literary 007 is strengthened by their band of Bond bloggers who deliver engaging spy content. Tom was one of the early supporters of the Spybrary project and we are very grateful to him. 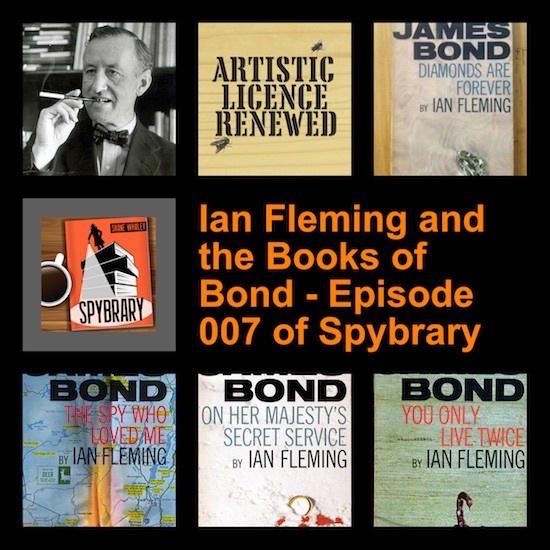 You can hear Tom talk all about his website and Ian Fleming on Episode 007 (funnily enough) of the Spybrary Spy Podcast. Needless to say Jeff knows his spy stuff and shares his insights on his Spywrite blog. ‘Spy Write is dedicated to spy fiction and nonfiction in all forms – movies, tv and books, new and old, especially collectible signed fiction.’ Jeff is also very informed when it comes to collecting spy books. You can hear Jeff talk about his favorite spy books on Episode 008 of Spybrary. We are due to record another interview shortly in which Jeff will share his tradecraft on collecting spy books. Spy Vibe is a wonderful spy site put together by Jason Whiton. The focus is decidedly more ‘retro’ than other spy sites which is a large part of its charm.Check out reviews, insights and photos of the 60’s spy and cold war landscape. I have learned so much about 60’s spy books, movies and tv show by reading Spy Vibe.If there was music to be had at my Spy Book Museum, I would invite Jason to be our DJ and pick the tunes! 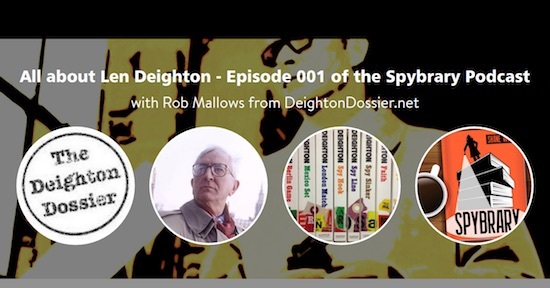 For all things Len Deighton, the Deighton Dossier is THE place online to visit.Rob Mallows has curated tons of excellent articles on Len and he periodically hosts a Q&A with the man himself. If you are interested in learning more about Len Deighton this is the blog to visit, it is even endorsed by Len himself.’If you enjoy Len Deighton’s books and films inspired by them and want to find out the stories behind them and more about the career of this great British writer, the Deighton Dossier is the right place to start!Rob Mallows the man behind Deighton Dossier appeared on Episode 001 of the Spybrary Podcast. So there you have it, Spybrary’s 8 of the best spy book blogs you should check out. If you run a spy book blog, or want to recommend another one please do let us know in the comments below or on our Spybrary Facebook Group.